You already possess valuable knowledge and skills you can turn into a business. Did you realize that? Suzi Hunn shares how to turn what you know into a business, so you can design work that works for you! And this is an extra special interview because I started coaching Suzi about two years ago. I remember doing a video chat of her sitting in her cubicle at her job feeling stuck. In less than two years she not only got herself unstuck, but has created a business that has replaced her income. I think her story will really reasonate with you because so many of the people I work with are caught between the fear of working for themselves and the fear of staying stuck in a job they don’t love. 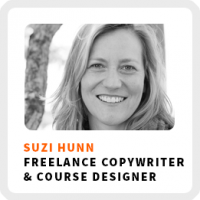 Suzi is a freelance copywriter and instructional designer. She helps entrepreneurs build their own educational courses and trainings, so they can profit from their knowledge. You can learn more about her work at TeachYourThing. Why it’s so important to understand the needs of your customers first. How attending a conference boosted her confidence. How education and marketing are more similar than you might realize. Knowing when and how to make an investment in yourself. 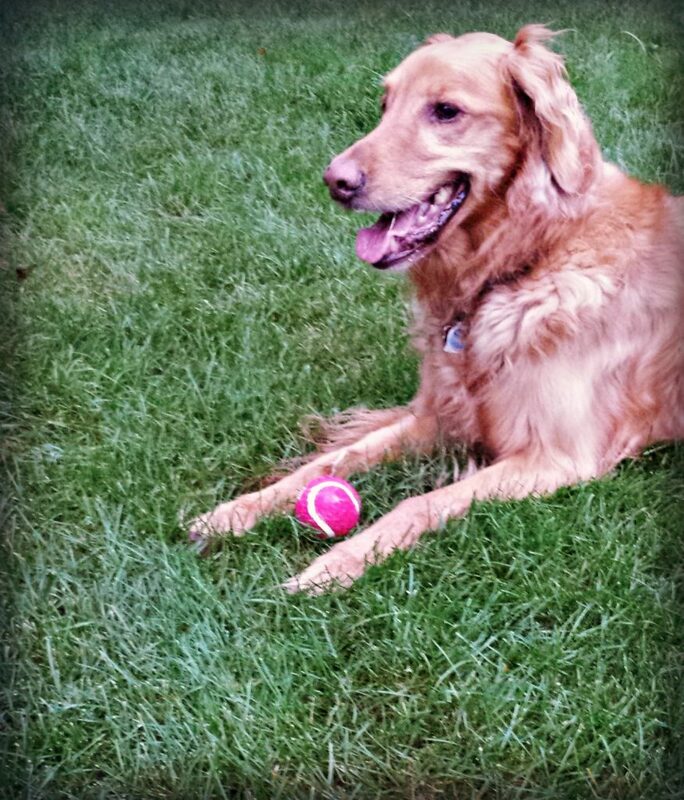 As promised, here’s a photo of Suzi’s dog Frankie, who joined us for her interview! Ideal work environment: Balancing being on a collaborative, innovative team with time to go into her zone and craft individually. Superpower: Being a warm-hearted advocate for people who are afraid through education. 90-day goal: Shift more of her focus from client work towards her own course creation and to allow herself more space and time to be a human being. 1) Work on teaching the thing that you need more confidence in yourself. 2) Embrace the idea that your voice and your style make you and the things you create unique. 3) Think about the ways that people come to your for help and focus on the people you’re helping rather than yourself.